Sculpture Size: 14.5 X 7 X 2.25 in. 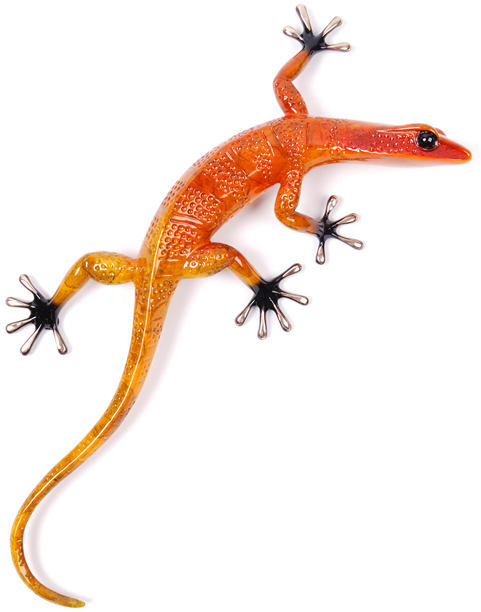 Each Tim Cotterill gecko has something unique about it. “Fuego” is covered all over with little perforations. Great flame orange patina and built-in hanging hardware.